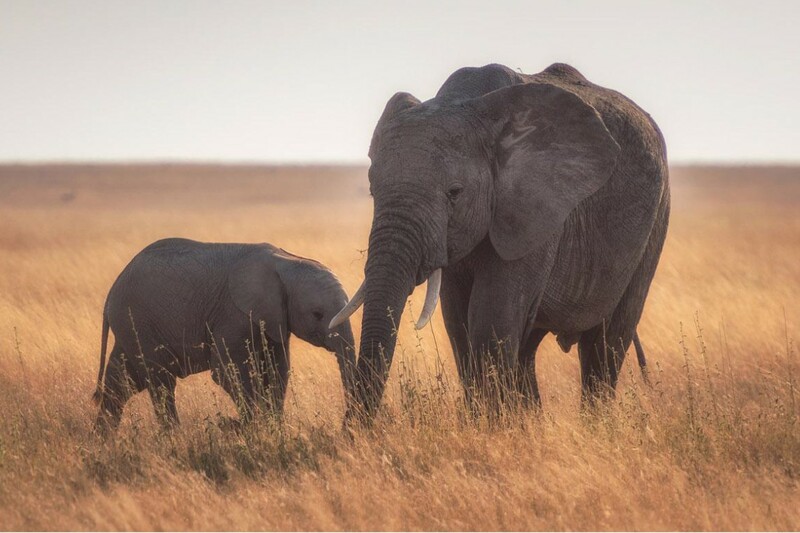 What do stem cells, elephants and longevity have to do with each other? The answer is the p-53 gene. Could the elephant hold some of the secrets of longevity? The elephant is an animal with great longevity and yet, scientifically speaking, this bucks the trends of nature. Typically, the more cells an animal has, the more likely that a cancer or some other serious medical problem will arise and thus shorten lifespan. Yet the opposite is true for elephants, certain species of whales, and a host of other animals that have extreme longevity. For these animals, the common thread is improved DNA repair and cell cycle regulation to prevent DNA damage that accumulates during the course of their lives. The secret may be that these animals have extra amounts of the P-53 protein. This protein controls repair which in turn promotes longevity and resistance to age-related diseases. Short Telomeres will cause the cell to become a wayward cell involved in all types of mischief. These cells are called senescent cells. The above diagram demonstrates how the P-53 gene is activated by senescent cells. What few people understand is that, as cells age, some of them degenerate into a population of poorly functioning senescent cells that accumulate throughout our body. There is no value to retaining these lingering senile cells. Their continued presence underlies a myriad of degenerative disorders. Senescent cells should be purged from the body. The buildup of these dysfunctional senile cells contributes to decay of individual organs and greater susceptibility to disorders related to chronic inflammation and thus disease of aging. 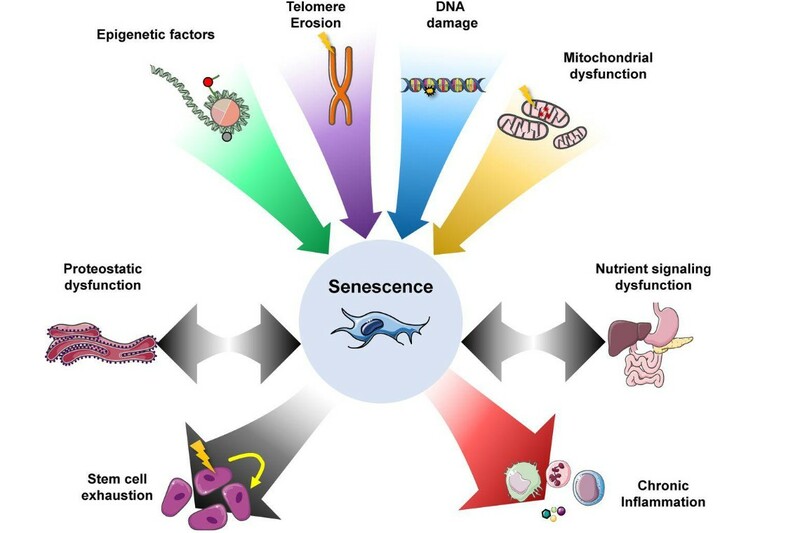 I have written a separate blog on senescent cells. In that blog I spoke about some supplements which seem to attack senescent cells. The body has a much better way of attacking these cells. This method is called the P-53 protein. 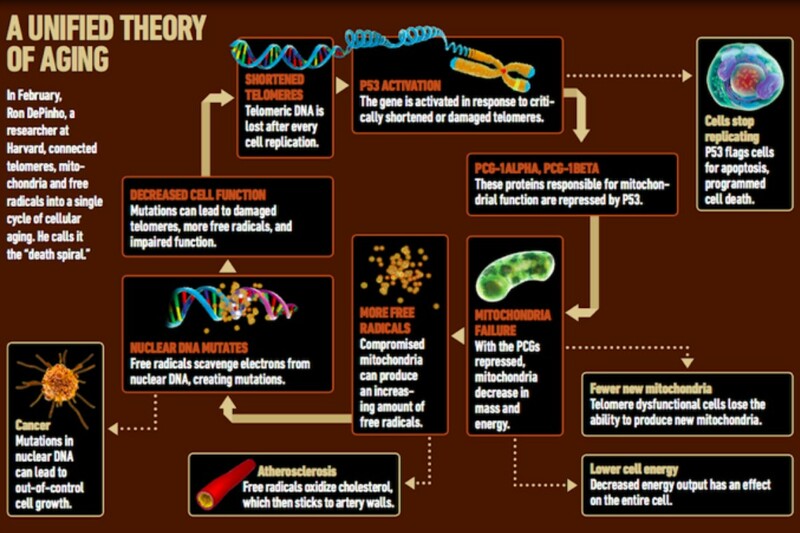 When the p-53 is activated it is a very good guardian and helper of cellular repair. One of the main purposes of P-53 is to have some control over cell division. If the cell has significant damage especially to its DNA then that cell is flagged and the cell is programed for death. This programed death of a cell is called Apoptosis. 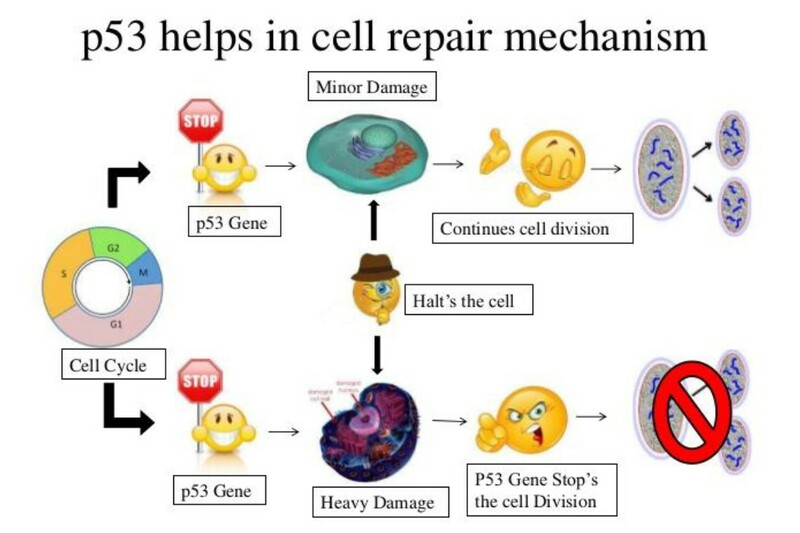 When the damage to the cell’s DNA is not that great then the P-53 protein will direct the DNA to repair itself. The following diagram is a bit more technical. It shows us what happens when P-53 is working properly and when it is damaged. What we can see in the above diagram is that an abnormal P-53 may lead to cancer. For this reason, the P-53 protein is also called the tumor suppressor gene and is involved in a wide variety of tumor types. At least 50% of known tumors contain mutations of P-53 in humans and animals. These mutations are found in different cell and tissue types. This has made P-53 the one of the targets in cancer research and therapy worldwide. Main-stream medicine targets this tumor suppressor in gene therapy and uses the protein extensively in cancer therapy. Just like recombinant cytokine growth factors, there is a recombinant P-53 protein. Recombinant DNA technology is when we join together DNA molecules from two different species that are inserted into a host organism to produce new genetic combinations that are of value to science, medicine, agriculture, and industry. Typically, bacteria can be programed by the recombinant DNA technique to produce medicines proteins etc. Nowadays Insulin is produced in this fashion. The vision of using P-53 comes from the work of Dr. Biava who isolated P-53 protein from the zebra fish, creating a recombinant protein. This P-53 protein carries the signaling and the function of the P-53 tumor suppressor factor allowing the practitioner to program the microenvironment of the cancer patient or the anti-aging patient. Abnormalities in the Cell Cycle lead to tumors. The normal Cell Cycle has four phases: Synthesis of DNA Mitosis (cell division), 2 gap phases; one before each active phase; that is, before Synthesis and before Mitosis (cell division) respectively. 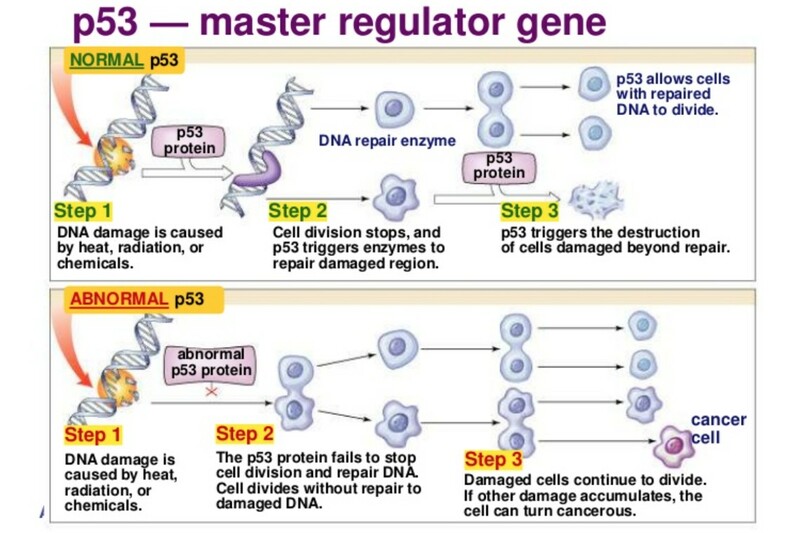 But regulation of the cycle is also dependent on tumor suppressor genes such as P-53. Suppresses tumors which can dramatically reduce the incidence of cancer. Regulates genes that control Cell Cycle arrest and cell death. Regulates homeostasis in cellular metabolism and Cell Cycle. While the P-53 protein responds to cellular stress in general, we can see that it has far reaching tentacles. Oxidative stress in aging or degenerative pathophysiology can trigger the sentry to duty, so a recombinant P-53 protein can ostensibly be used in anti-aging therapies, degenerative conditions and prevention of tumorigenesis. Seminal Point to Entire Blog. Rather than depend entirely upon our own P-53 protein, which potentially may have some mutations and loss of effectiveness, we are able to supplement it with a recombinant form of the P-53 protein. Remember, just like the elephant, it is a numbers game with P-53. In due course, we shall have a recombinant form of P-53 available. This will be supplied in the form of a patch containing the P-53, together with penetrating molecules. The patch is kept on overnight and then discarded. We feel this will be another nail in the coffin of aging. We still have a way to go but it is certainly a step in the right direction.